Investigate a supposedly abandoned island in Mystery Trackers: Black Isle! After a journalist is kidnapped after beginning an investigation, it’s up to you to learn the truth behind Black Isle. Years ago an earthquake struck leaving the island deserted. None of the buildings seem to be damaged, however, and a hooded figure seems to be stopping people from discovering the truth. Find the missing journalist and learn a sinister secret in Mystery Trackers: Black Isle! 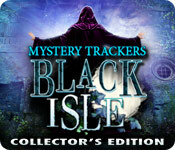 Mystery Trackers: Black Isle Collector's Edition is rated 4.5 out of 5 by 147. Rated 5 out of 5 by robotics1 from Back to basics I've been downloading newest games but decided to give this older one a go. What a surprise! OK the aspect ratio is out of date but the graphics are just fine. What I particularly liked was lots of HOSs. It is supposed to be a HOG after all. So many modern games claim to be HOGs yet have hardly any HOS. Many of the HOS require you to use something from the inventory to help in the HOS. I'd not come across that before. Would definitely recommend this game. Rated 5 out of 5 by AngelQueen36 from Another Great One!!! Game is wonderful and I can't wait to try the newest one. Rated 5 out of 5 by AforAllie from Another Excellent Mystery Trackers Game This is another excellent game in the Mystery Trackers series. The story is engrossing, the graphics are good and the puzzles are fun. 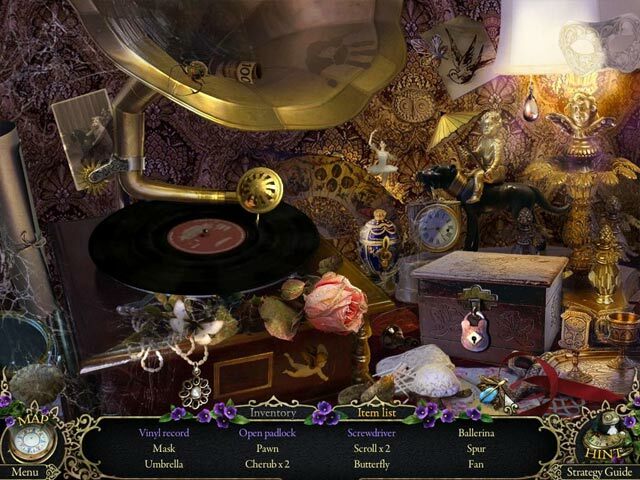 The hidden object puzzles are a little different in that you sometimes use items from your inventory. The bonus chapter was good, but a little short. Rated 5 out of 5 by rosekaufmann from LOVELY PREQUEL TO SOMETHING Main game took almost 7 hours to complete. Bonus about 20% of that. Game is mostly adventure with a lot of locks and doors to unlock. So you have to find a lot of puzzle pieces involving locks and keys to move forward into the next area. Moderate number of interactive HOS, in which you frequently use an item that is already included in your inventory from prior acquisitions. Not many HOS are blessedly very crowded, but some items are very well concealed. As the story progressed, I found myself feeling sorry for the protagonist; there are hints about how he and others in his predicament as a paranormal were previously mistreated by a doctor. We don’t find out in this story about what that entailed. I didn’t find a journal, only notes. NOTE RE: MAP: At first I thought it was useless. Then I realized it is multi-layered and is indeed interactive. On the main map, click on any of the main parts of the island and you’ll get a more detailed map, with pending activities and somewhat detailed tasks to be performed noted. The HINT system is extremely helpful. It will tell you what to do, where, with what and why. I like how it’s worded – like a friend giving advice without pointing fingers at how unwise you sometimes can be. Moderate number of locations which are very nicely drawn and colored. So even if you chose not to use the map, you won’t get lost. Graphics are crisp and lovely; animation is terrific. There are a lot of activities to do. Puzzles not connected with doors and locks are refreshing and a pleasure to play. Rated 5 out of 5 by kcoh61 from Excellent!! Mystery Tracker Black Isles My second Mystery Tracker game, most defintely not my last. All I can say is WOW!!. Very challenging, great puzzles and excellent graphics. Had to use hints, in the beginning, to get started and referred often to the strategy guide for puzzles. **Great Strategy Guide**-very helpful. Loved the CE edition. Bonus game was just as fun. Buy this one.....it's a keeper! Rated 5 out of 5 by amyfrances from Nearly Flawless I have played Mystery Trackers: Black Isle twice all the way through. It is by far my favorite Mystery Trackers. The graphics are gorgeous and very tactile. As with Raincliff, when I really felt I was in a soft, snow-lit world, the rain saturated Black Isle felt cold and wet; when indoors, I almost felt toasty out of the rain. That's how good these graphics are. The plot is a little wonky, but definitely kept me interested. A seemingly malevolent figure on an island has kidnapped a journalist. Your job is to find her and overcome anything the figure throws in your way. There is some live acting here, and since I like that kind of thing, I enjoyed it. If it's not your cup of tea, there's not much of it to annoy you :) There are achievements and collectibles (I never say what the latter is, since people often like to find out on their own). The HOS get progressively harder, but always beautifully rendered. There is a wide variety of puzzles. I really don't like puzzles unless they are ridiculously easy, but I liked all the ones in Black Isle. Maybe because they didn't repeat so many of the tired out puzzles we've seen in other games, and maybe because there were enough manageable ones that I didn't feel incompetent! This is a nicely long--but not *too* long--game (I didn't play the bonus content, so can't speak to that). There is some backing and forthing, but that doesn't bother me. I love figuring out how to use an item; I don't like games that hold my hand, and this game doesn't. But the solutions aren't so ridiculous that you ask your computer screen how the heck you were supposed to figure that out. This game is definitely in my top ten. Rated 5 out of 5 by neilskinut from one of the better ones This one is better. Has a good flow, good graphics but no voice over. The HOS are good and the puzzles are pretty much easy. Has things to find for enjoyment and you get rewards on others. Hint button is ok. Rated 5 out of 5 by Chickadees3 from A great game from Elephant Based on the demo, I love this game! Wonderful graphics and storyline - the cutscenes are just fantastic and very entertaining. I didn't finish the demo because I was looking so carefully for the owls but no matter. I like HOG's but am finding the adventure games to be more to my liking and I didn't encounter too many HOS as far as I got in this game. The ones I did play were very easy. I found the puzzles to be easy as well. Also the sound quality is excellent and I love the sound of rain. I had a mix of emotions playing the game. The rain was soothing and relaxing. Warring with this was the sense of urgency for the quest. Then there was the question of just what was going on with the hooded character and what was up with that earthquake? Also was delight for the surroundings and then the jumps when certain cutscenes suddenly appeared. When I'm feeling all this while demoing a game I know it's a must have so I will be purchasing the CE on payday (which can't come soon enough for me). Rated 5 out of 5 by catbag8717 from One of the Best I've Played This game, no doubt about it, is one of the best I've ever played. I loved it. Good Parts: Amazing storyline that hooks you instantly. 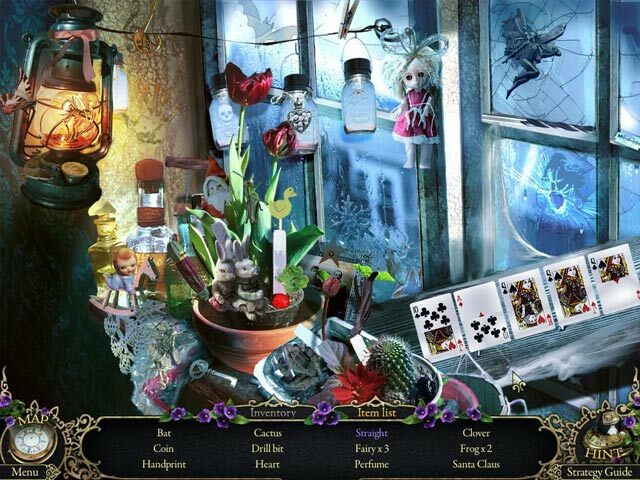 Very realistic, well designed graphics The Hidden Object Scenes were great. They were challenging and included interactive objects. Hint and skip buttons recharged very fast Achievements added extra fun to the game. I had to collect them all! OK Parts: The puzzles. Some were great but others really annoyed me. Bad Parts: A strategy guide was included, but I could only use it in the full version, which realy annoyed me. Overall, I absolutely loved this game. I'll recommend it to anyone and definitely will buy it!